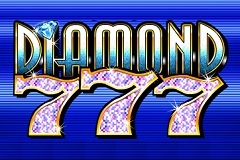 With 3 reels, a single payline and symbols that have been seen in a multitude of other pokies, Diamond 7s may not be the most innovative of online games, but it’s got what many players want, namely the ease of play and potential to win regular prizes, while the generous jackpot prize can boost bankrolls by thousands of Dollars. 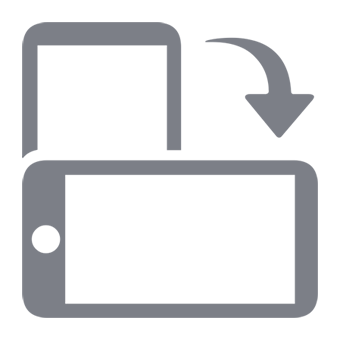 It’s part of the Microgaming range, and this company are the undisputed masters of 3-reel games, so they know their target market very well and have developed Diamond 7s to appeal to it. A neat, uncomplicated design, familiar features and low to medium bet range are also going to attract players, although those who like to risk higher stakes, or anyone who likes the thrill of bonus features may be left a little cold by this particular pokie. The very simplicity of the game is one of the best features about it, as very clear graphics and easy to follow payouts will have players understanding the reels in no time at all. A restful blue background sets off the glittering logo nicely, while above this are the 3 reels themselves and to keep the traditional appearance going, there’s a payout schedule taking up one side of the screen. All that players need to do is decide how much to bet on a spin, with the control panel at the bottom giving them the option to value coins at 0.25, 0.50, 1.00, 2.00 or 5.00, and then they can activate either 1, 2 or 3 coins for a maximum bet size of 15.00. The payout table lights up the appropriate column, depending on how many coins are being used, although with the exception of the highest-paying symbol, all winnings are just the same multiples of the amount staked. Assuming just a single coin is in play is the easiest way to look at things, with the cherries taking the bottom rung of the ladder, with a single one being worth 2 coins, while 2 cherries on the line are worth 5 coins and should all the reels have the cherry symbol across the line, players are in for a prize equal to 10x the amount bet. More classic symbols come next up the scale, with any bars resulting in a win of 5 coins, and then the usual pattern of single, double and triple bars take up the next positions on the table, with 10x, 20x and 30x awarded for full lines of each. Finally, we get to the ‘7s which come in a couple of different flavours, and if any combination of them stop across the line, there’s a win of 40x heading to the players’ balance. A line of red 7s is worth 80x, but the undoubted star of the show is, rather appropriately, the diamond 7s with a full line being valued at 500x the bet amount if 1 or 2 coins are being played. This is where the multiples for playing 1, 2 or 3 coins goes a bit wobbly, as anyone wagering the maximum number of coins will win 2,500 for a full line of the diamond 7s rather than the 1,500 which they would expect to have received if the pattern had continued with all symbols. It’s basically designed to encourage players to use 3 coins, but remember that with a minimum value of just 0.25, it’s still possible to stake just 0.75 on a spin and qualify for that bigger win if the reels have diamond 7s right across them on the line. A Real Gem, Or All Fake? Diamond 7s holds no surprises, which can be seen as a good thing or bad thing depending on what sort of games you like. There’s no wild symbol, side games, bonus rounds or icons specific to this game, and everything that players need to know is outlined in full on the payout table. It’s simple, clear, easy to play and being a Microgaming pokie, it’s also trusted for fair play and reliability, so whether you want to try it out is entirely dependent on what types of games appeal to you. Old-style nostalgia is one attraction, but frequent wins are also possible and even those who don’t look back on pub pokies with any fondness, but like to enjoy regular prizes, will find plenty in this one to recommend.